Mainly sunny to start, then a few afternoon clouds. High 83F. Winds SSE at 10 to 15 mph..
A few clouds. Low 66F. Winds SE at 5 to 10 mph. Denham Springs pitcher Natalie Parker (13) returned to the circle in 2018 and helped the Jackets to the Class 5A state regionals. 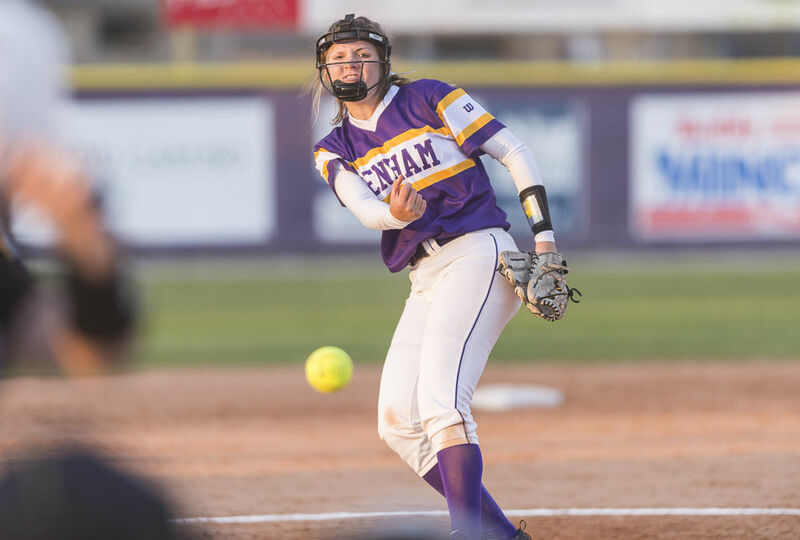 DENHAM SPRINGS - Despite having her pitching career derailed for two years, Denham Springs’ senior Natalie Parker bounced back in a big way last season for the Yellow Jackets. Not only did Parker return from the discomfort of rheumatoid arthritis to help Denham Springs to the Class 5A state regional playoff round, but she also garnered a coveted scholarship offer along the way. Her next-level ambitions are now secured. Not only did Parker solidify herself among her team’s top pitchers in her return to the circle in 2018, she also received a scholarship from Hinds (Miss.) Community College, where she recently committed to extend her career beyond high school. Not even after a bout with painful rheumatoid arthritis didn’t permit her to pitch in her freshman and sophomore years. Parker played first base as a sophomore and pitched pain-free during the summer before her junior year. She was able to make significant contributions to a Denham Springs team that rallied around injuries to other players to win a state playoff game over Ruston. The Yellow Jackets, with Parker in the circle, exited in the second round with a 4-2 loss at No. 5 Mandeville. Parker was selected to the All-District 4-5A first team as a utility player and also landed a spot on the All-Parish first team as a pitcher. Parker was rewarded for her persistence after coming away without an offer after her first unofficial visit to Hinds, which is located 2 ½ hours away in Raymond, Ms.
Hinds pitching coach Courtney Carson must have liked what she saw in Parker during a performance against Zachary in a league game last spring that resulted in a scholarship offer. The future is bright for Parker as Hinds lists four sophomore pitchers on its 2019 roster. She also expects to be in the team’s batting order as well. Check out these Livingston Parish headlines from the weekend of August 10-12, 2018!